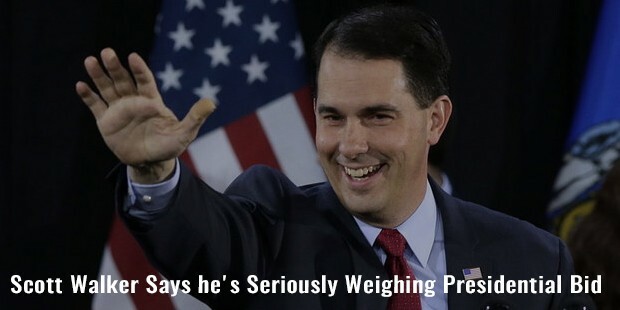 Scott Walker has been serving as the 45th Governor of Wisconsin since 2011, and is presently more in the news for being the 2016 presidential candidate from Republican Party. 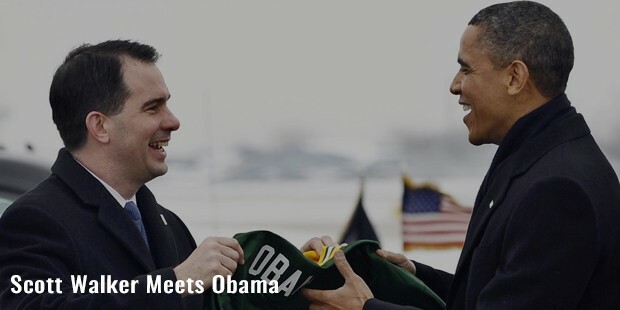 Earlier, he has also served as the Executive of Milwaukee County, and worked in the Wisconsin State Assembly. He won in the 2012 recall elections, and defeated Mary Burke to be re-elected as governor in the year 2014. Born in 1967 in Colorado, Walker grew up in Iowa and Delavan, and then attended the Marquette University. Later, he left the university to take a job in American Red Cross. His father, Llewellyn Scott "Llew" Walker, was a Baptist minister, and his mother, Patricia Ann "Pat", was a bookkeeper. 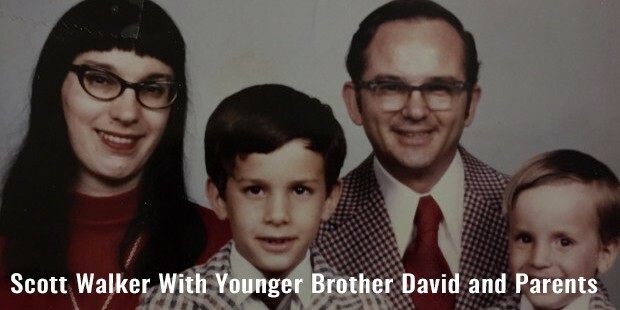 When he was in high school, he had attended a 2-weeks training in government and leadership at the Badger Boys State, and selective Boys Nation of Washington DC. This experience played a significant role in making him interested in politics and public service. 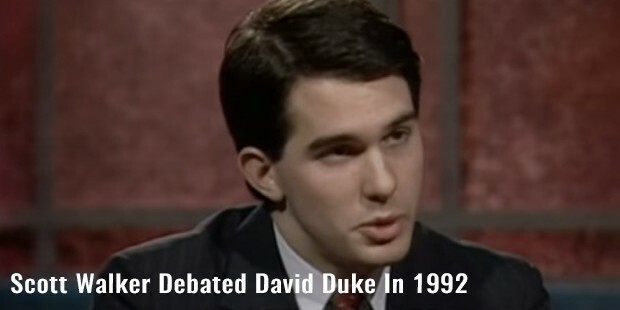 In 1992, Walker was elected in the Wisconsin State Assembly, and represented a Milwaukee County district. After resignation of F. Thomas Ament, he was elected as the County Executive through a special election, then elected for full-term in 2004, and then re-elected in 2008 after defeating Lena Taylor. 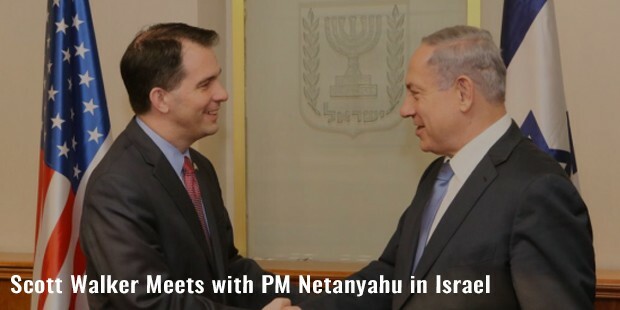 In 2006, he launched Governor of Wisconsin campaign, and again ran in 2010 to defeat Tom Barrett. In the recall election of 2012, he again won over Barrett, and became the 1st American governor to win from a recall effort. In 2014, he defeated Mary Burke, a Democratic and businesswoman who was also a board member of the Madison School. In January 2015, Walker set up ‘Our American Revival’, a 527 organization dedicated to spreading his messages and underwriting his activities. This was described as his effort to build his position as a presidential election candidate. In July, he started filing papers and announced his intentions to run for the elections through social media. He is conservative about social issues, and has openly opposed gay marriage and abortion. 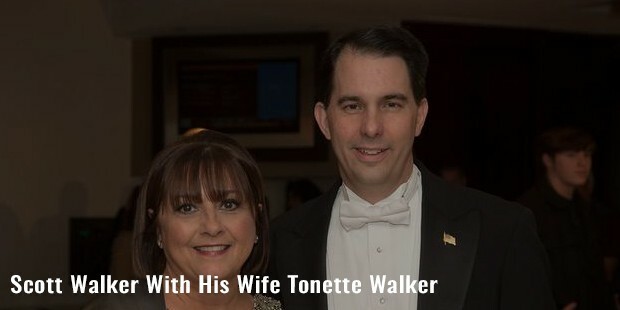 Scott Walker is married to Tonette, and they have 2 sons, Alex and Matt. They attend Meadowbrook Church, an evangelical, non-denominational church of Wauwatosa. His wife is active in American Lung Association, and works in its development department. He is a motor-bike lover, and rides a 2003 Harley Davidson Road King. In 2013, he published ‘Unintimidated: A Governor’s Story & A Nation’s Challenge’, in which he wrote about his experiences, particularly during the recall votes and the subsequent election. He has co-written this book with Marc Thiessen, a renowned political commentator, columnist and author from America. 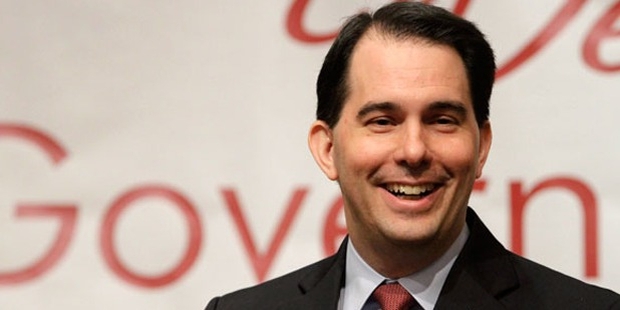 Scott Walker is a successful politician in America, and has a high success rate over his competitors. Now that he is running for 2016 presidential elections, we hope for his success, and his continued dedication towards the nation.